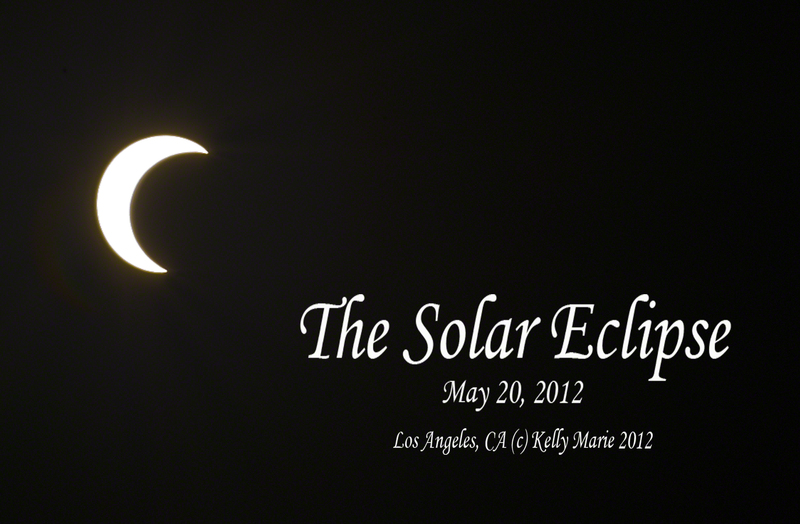 Here in Los Angeles, we didn’t get to see the “Ring of Fire.” We were only able to see a partial solar eclipse. However, I did manage to see the “Ring of Fire” on the Slooh.com live feed. I also managed to go outside and watch the partial eclipse using the pinhole trick on cardstock paper. But as a photographer, I wanted to at least attempt to find a way to take a picture of the Eclipse. So I grabbed my Nikon D300, slapped on a circular polarizer and went out onto my driveway to experiment. Now I am sure I could have figured out a way to get better results if I hadn’t been on pain killers and had been able to stand for more than a few minutes. But what I did was I set my camera to Manual mode. I set it to the smallest aperture (F36 on the current lens), the fastest shutter speed (1/8000) and the slowest ISO (ISO 200). I snapped a few shots and they were just dark. So I switched my camera into Live Mode so I could set up the shot, then turn my eyes away (so I wouldn’t blind myself) and snapped the shot. I shot the picture in Raw and enhanced it slightly in Camera Raw by decreasing the Exposure to limit the halo effect. The above shot is the end result. It kind of looks like a perfect crescent moon but it is indeed the sun with the moon blocking it. (Though due to my injuries, I got this one picture then went inside to rest and watch the remainder of the show on slooh.com). There have been some very interesting pics on facebook. Lots of shadow pics with the hundreds of crescent shapes on the sidewalk. Fun!